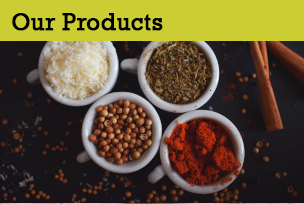 Essential is in partnership with Italian artisan pasta brand Pastificio Veneto to distribute the range exclusively in the UK to natural health stores. Fresh Tortelli Stuffed with Vegetables & Creamy Risella and Fresh Tortelli with Pizzaoila Tomato & Mozzarisella are the two vegan options in the range; and the two classic Italian vegetarian varieties are Fresh Egg Tortelli Stuffed with Spinach & Ricotta and Fresh Egg Ravioli with Mediterranean Vegetables. 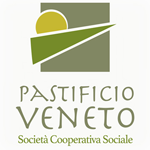 The Pastificio Veneto co-operative is based in Castelfranco Veneto and employs local people who are socially disadvantaged and may otherwise find it hard to gain employment in the area. 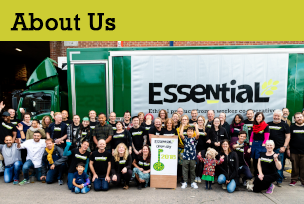 The co-op uses locally sourced organic ingredients ­– including Treviso-produced Mozzarisella, a vegan alternative to mozzarella made from sprouted rice – and is environmentally-friendly. An organic agriculture co-operative founded in 1980 in the Marche Region, Italy, La Terra can be considered as one of the pioneer companies to invest in the field of Italian organic production. The co-operative incorporates 100 associate farms that contribute raw materials; many of them are located in the inland of the Marche and play a very important role in terms of environmental protection and sound rural development. Profits used for social purposes. Support for small organic producers. La Terra e il Cielo markets a wide range of certified products, such as pasta (spelt, wheat, kamut, corn, buckwheat), cereals, puffed spelt, extra virgin olive oil, tomato sauces, and - last but not least - our fairly traded Caffe della Pace, directly imported from a Guatemalan co-operative of small scale Mayan producers and produced in collaboration with Nobel Peace Prize winner Rigoberta Menchu. The company was founded in 1996 by the Fernandez Saa brothers, Clemente and Fermin, consumers and producers of organic foods since the 1970s, with the aim of promoting and spreading the word about the marvelous nutritional properties of Galicia's native sea vegetables. 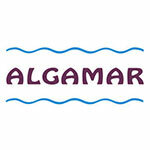 Its headquarters are in the Bay of Vigo, 18 km from the city of Vigo and 30 km north of the Portuguese border. Most of the company's sea vegetables are harvested on the southern coast of Galicia, a designated part of the European Union's Natura 2000 network and very close to the Atlantic Islands Natural Reserve.